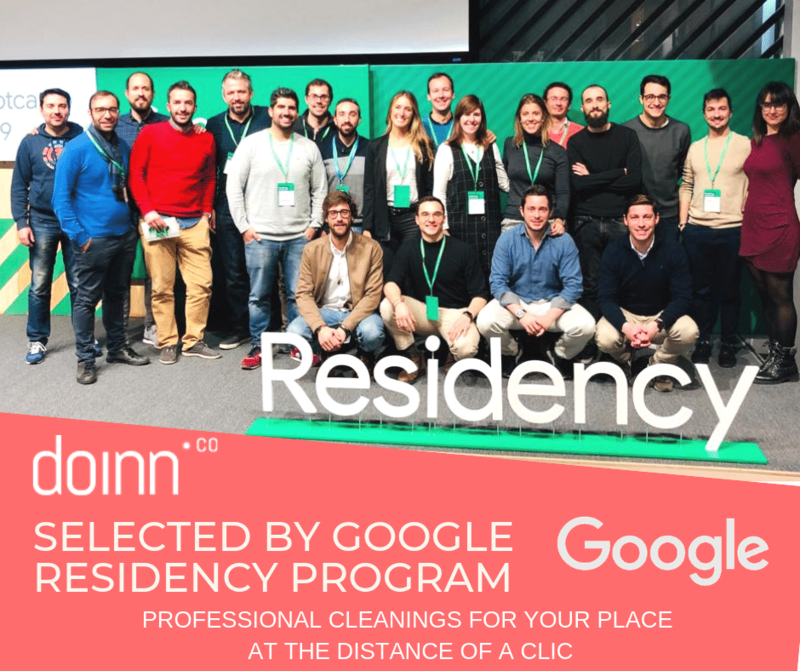 We are very excited to announce that our company was selected as one of eight startups to join the Google for Startups Residency program in Spain. Google for Startups Residency brings high-potential and growth-stage startups the best of Google’s products, knowledge and connections. All tailored-made and designed specifically to support the strategic and measurable growth of the business at scale. The program has a duration of 6 months and will take place at Google’s Campus in Madrid. According to Noelia Novella, CEO of Doinn, just the chance to get to really know and use Google’s products was worth the effort to get there. However, all the networking opportunities presented by the program, both in Madrid and worldwide, is what makes her particularly enthusiastic. Doinn is a housekeeping hub for vacation rentals aiming at assuring a hassle-free operation with a high quality final result, both for its clients and its vendors. We believe that our platform is a flexible yet well-structured solution that allows to save time and minimise miscommunication-related failures. Our success is in part due to partnerships with a range of companies that have the same pay-it-forward mentality: Rentals United, Avantio, Bookingsync, Hostaway, Guesty and many others! We are now looking forward to grow with Google and to empower as much as we can, the vacation rental ecosystem. We are confident that working with Google will enrich our knowledge, enhance our leadership skills and increase our credibility and exposure to media, ultimately helping us to grow faster. Copyright © 2016 Doinn. All rights reserved.